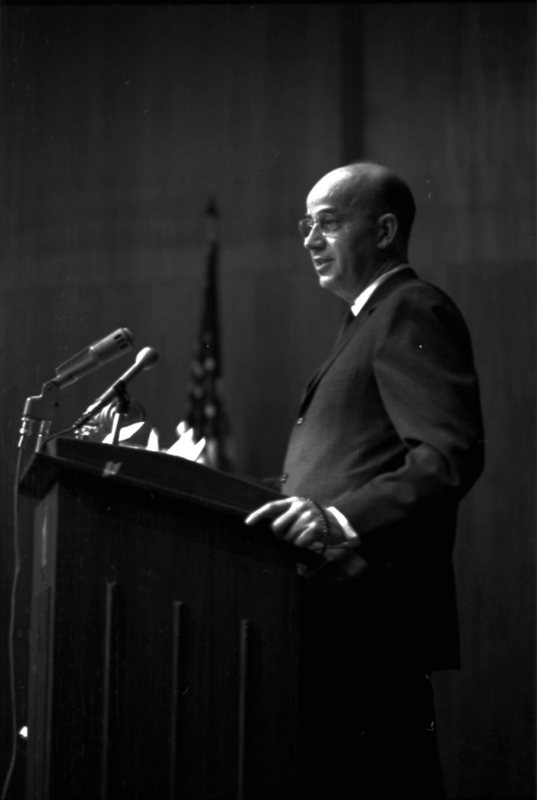 Description Photograph depicting former University of California President Clark Kerr delivering a speech at IU. Kerr was on campus to speak as that year's Patten lecturer. During the his initial lecture on October 14 Kerr was struck in the face with a pie thrown by former IU student Jim Retherford. 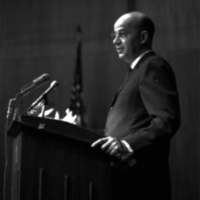 Dave Repp, “Kerr Delivers Lecture 2,” Indiana University Archives Exhibits, accessed April 19, 2019, http://collections.libraries.indiana.edu/iubarchives/items/show/448.